The first time I heard ‘Summertime’, I fell in love with the raw and raspy voice of a woman.This was well before the time of Shazam and Google. I was fifteen and there was no easy way to find out who sang that song, especially in Pakistan. My dial-up connection could not handle the searches I made back then on Yahoo! ; and various music forums. I was patient, I asked people, I hummed the song but to no avail. Especially since I remembered only part of the lyrics having had heard it just that one time. Shortly after I heard ‘Move Over’ on an old cassette I found at home and connected the dots. Janis Joplin’s voice mesmerized me. I would listen to that song over and again until the cassette finally gave away. Finally with a name in hand, her music became easier to find. I know many people will scoff at the comparison but Janis Joplin is my personal equivalent to Robert Plant, both of whom I deeply admire. Janis was discovered in 1967. At this time, she was the front woman for Big Brother and the Holding Company, a psychedelic rock band from San Francisco. As a vocalist and performer Janis had an intense magnetism which set her apart in a league of her own. During her short but very impactful four-year career, Janis Joplin released four albums. She ranks amongst one of the top-selling musicians in America. 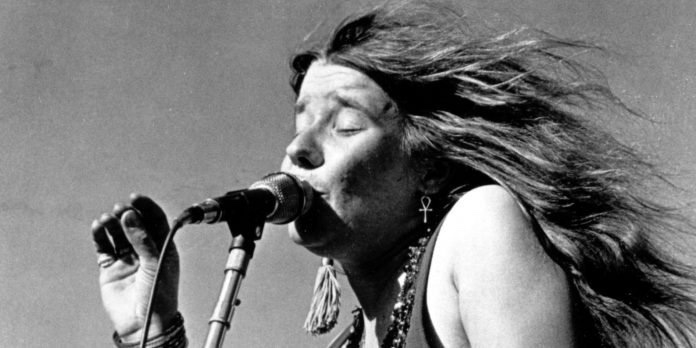 Janis Joplin died on 4th October, 1971 due to drug overdose. In tribute to one of the most prolific females blues vocalists, here is our playlist for the fundamental Janis Joplin listening experience.